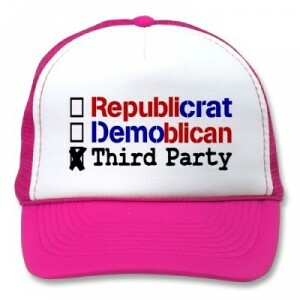 According to a recent Zogby Poll “One-in-Four Voters Say They Are Likely To Support Third-Party Candidate.” This is a wonderful opportunity for Libertarian candidates. I am excited to see the field of potential Libertarian candidates. In addition if Representative Ron Paul does not get the nomination, I could see many of his supporters being swayed to vote for a Libertarian candidate as a protest vote. In California we know the Electoral College delegates are going to go to a Democrat. It is a wasted vote for them to not vote third party, if their conscience dictates that they should. This is the election that disenfranchised members of both Democrat and Republican parties should consider voting Libertarian.